I’ve have had great luck with this biryani recipe in the past but this is the first time I gotta chance to take step by step pics to share it with you. I’ve already posted a different version of Dum Biryani before that required and electric oven but you can make this just on a stove top. 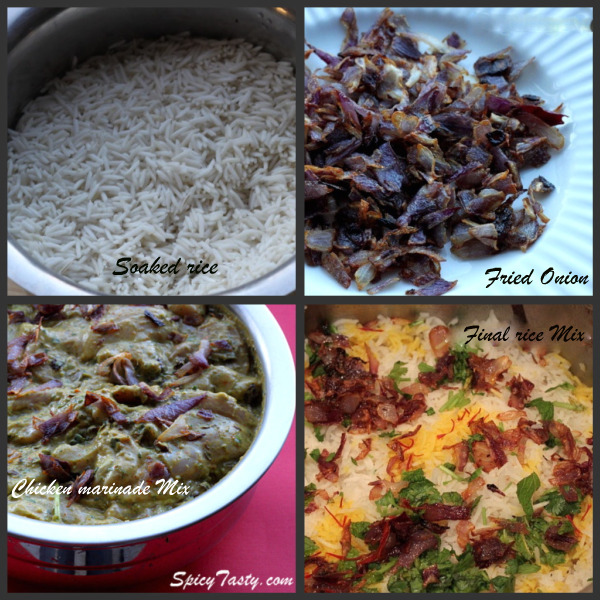 There are many different types and versions of regional biryani recipes. And Hyderabadi Dum Biryani is one of the most popular of all. 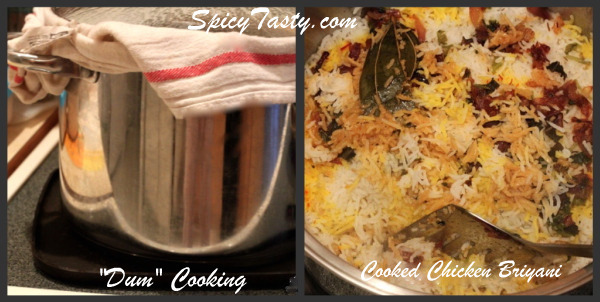 The secret to this version of biryani is to make sure you don’t over cook the rice in step 8. Enjoy making this “Dum Biryani”. Wash the cut chicken and drain them and kept it aside. Now fry the bay leaves, cloves, cardamom, cinnamon and whole black pepper grind them into fine powder and finely add the mint leaves, coriander leaves into ground mixture and again pulse it for 2 sec to make a coarse paste. Now add the ground mixture with the washed chicken and add the remaining marinade mix and some fried onions into them. Mix it all together and let it sit for 30 minutes. Boil the water in a heavy bottomed wide vessel and when it comes to a full boil, add some oil, ghee, shah jeera, bay leaves (1), cloves (2), cinnamon ( 1/4 ” ). When the water comes to full boil add the soaked rice and just cook the rice in high heat for 3 -4 minutes and check the rice it should be half cooked (50% cooked). Add the saffron in a 3tbsp of hot water and mix it well. Heat the same heavy bottomed vessel add some oil, ghee and spread the marinated chicken at the bottom. Now add the cooked (half) rice on top of the chicken, spread some fried onions, remaining mint leaves, coriander leaves on top of the rice. Finally pour the saffron water on top of it. You can dum cook the biryani by covering the vessel with wheat flour dough or with a thick kitchen towel. Cook on high heat for 2 – 3 minutes till you see water drops inside the lid. You will smell a nice aroma after 30 -35 minutes so that way you will know the biryani is ready now. Now turn it off the heat and remove the vessel. Slowly remove the lid and kitchen towel and you will see beautifully cooked dum biryani ready for you. 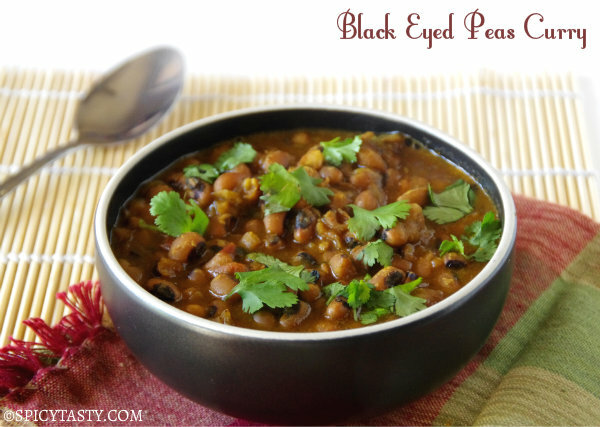 Serve it hot with boiled egg and Raitha. Enjoy your Chicken Briyani 🙂 !!!!! How i wish i had this for lunch, looks so so droolie delicous. wow! I am drooling in here, this looks like the perfect restaurant styled chicken briyani! Though I try the same way you have said, I never arrived at the perfect way as you did! Lovely picture. Thanks for stopping by my blog and leaving a valuable comment! Am glad you did, so I found out about your blog and I loved browsing through you blog! Most of your dishes looks very authentic and traditional! I am definitely gonna try many of your recipes! 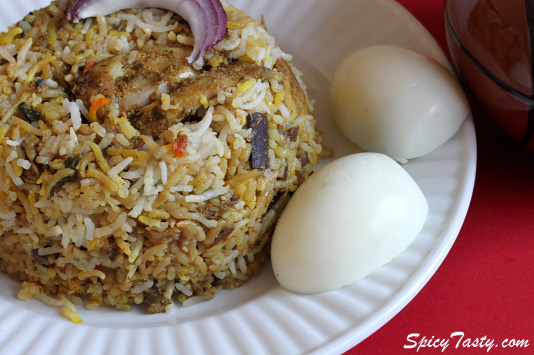 Hi Shriya, Biriyani is one of the often invited food in our regular menu..and I loved to make different kind of biriyani..will try urs..looks so tempting and lip smacking…. Biryani looks really good. I love the way you make dum. Beautiful pictures..Hyd biryani is always a must do on list! Wow, lovely pic and I could sense the fragrance of this biriyani! Awesome recipe with cute step by step instructions. Love the clicks. Well-prepared, lovely step by step pictures…incredible. Makes me very hungry. Thanks everyone for your encouraging comments. Thanks for dropping by. I’ve never had this before but sure looks fabulous! my dear this briyani preparation need lot of algorthim same time its result grasp everyone. thank u dear .umade many to have a tasty food .MY DARLING UR ADORABLE. drooling here .lovely step by step presentation.. I have today dared to prepare the chicken dum biriyani and it was much appreciated by my mother in law. My husband always tells me that I am a good cook but today with your recipe I have excelled myself. I am glad that it came out good for you. And it always feels good when you get the appreciation from your MIL and husband. Haven fun cooking!!!! The recipe mentioned above is for 5 people. If you want to make it for more people just double the quantity as you need. 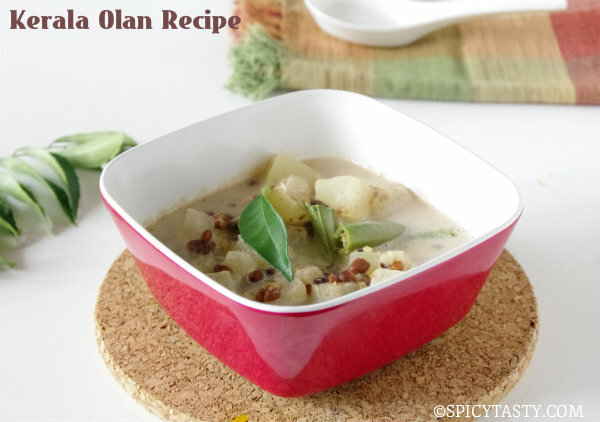 We also have the recipe for Mirchi ka salan . Check this link. If you need any help or question let me know. I am really glad that your husband and you enjoyed the dish. Thanks for trying out my recipe. I’ve been watching your recipes and trying them too with my own variations. Your descriptions are very good, esp with pics. I have one doubt abt this recipe. Does the chicken cook well with just ‘Dum’ and cooking it before putting it with rice. I tried it once and the chicken tasted bland. I was looking for Dum biryani recipe. I found this link in google and i followed the steps exactly. The biryani came out so nice and awesome,.. This is better than what we get in restaurants. very delicious. i was looking for a chicken dum biryani when i stumbled on your recipe and it was great. It was a hit a home, even with my picky 3 yr old. Thanks for sharing this recipe. I followed it to the T.
tasted delicious, thank you. works out very well whenever i make it…and everyone at home loves it. Hi sanama, I’ll update the pic of my measuring cups and it’s measurement soon. Your recipe looks very authentic and the biryani looks professional too. But it’d be good if you list all your measures in cc or gms. HI, I’ll sure list all in cc or gms. very very nice recipe shriya. I had a cooking competition and I had to make chicken biryani and after I had everything done the marks came and I was the winner thank u so much. Ur chicken dum biryani looks awesome, would love to try it this tuesday for guests. I have a question, please tell me if the rice measurement u have mentioned is rice cooker cup or the regular one. Will wait for ur reply to try on tuesday. Friend , tell me what is the taste of hyderabadi biryani because i was told that original biryani has sweet in taste…what’s your point of view???? 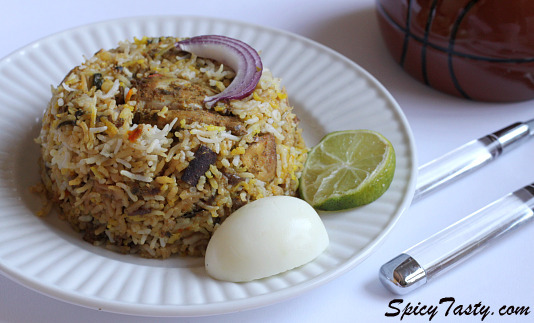 Best Hyderabadi Biriyani recipe on the internet!! Thank you for the the excellent work. It’s a boon to all bachelors. very very nice recipe . chicken can be cooked in different varieties and styles as i spoke before about hyderabadi biriyani which is our favourite south Indian Recipe,now i will tell you about other variety of chicken, i.e how we can cook chicken curry in different varieties with different tastes.In this I would like to say about few chicken curries our south indian curries are chicken tikka masala, chicken casserole.